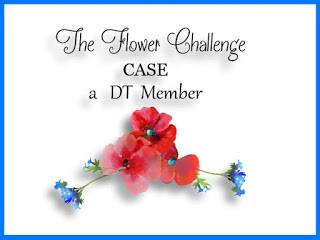 The challenge this month at The Flower Challenge was to CASE a Design Team Member. I chose Karen Dunbrook's great design. As you know, blue always gets my attention. While I didn't have anything like the dies that Karen used, I improvised and came up with this design. 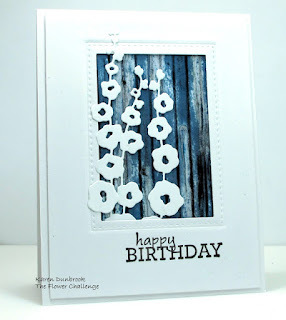 I've shared her design with a link back to her blog. Click on her name under her picture. 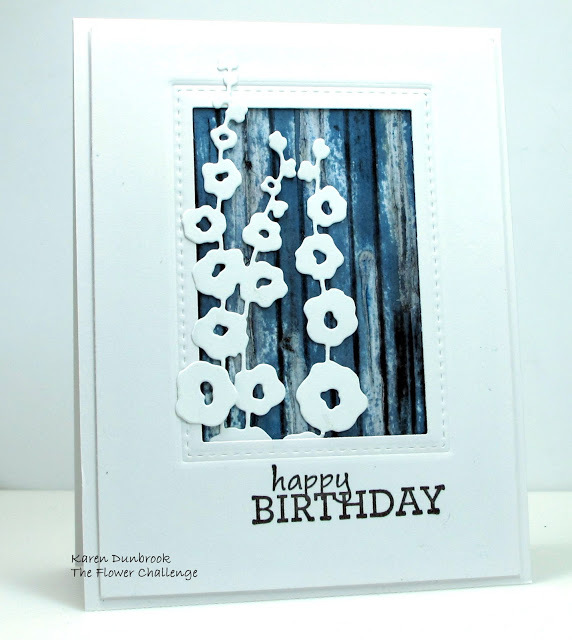 The inspiration for my design came from The Flower Challenge. For all the challenge details and to share your project, click the image below. 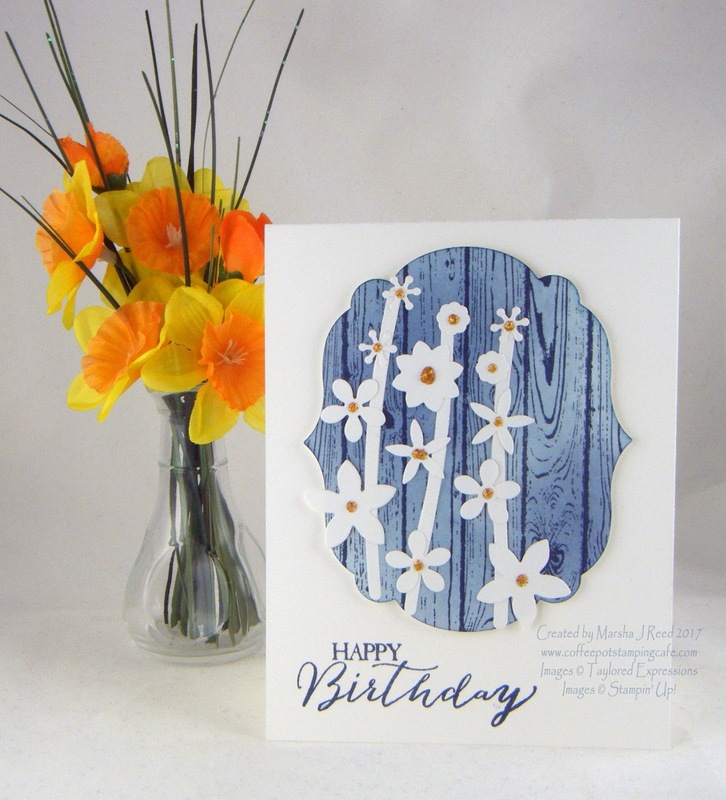 Hello Marsha: I love your beautiful CASE of Karen's beautiful card, the Hardwood background stamped in those beautiful shades of blue looks amazing and it really makes your white flowers pop. Thanks, Maria! The card turned out better than I expected.